Todd McKinnon wants to build a new front door for computer users seeking access to applications and services. His company Okta takes its name from a measurement of cloud cover and cloud cover is what he’s selling: the ability to tap programs securely without the pain and hassle of remembering laundry lists of passwords and authentication techniques. The need for such services is pretty apparent. The rise of cloud computing has made it easier to add new IT services, letting firms try them without penalty if the service is ultimately rejected. Because of that flexibility there has been lots of churn in the applications firms use for marketing, managing customer relationships, back-office tasks and much else. At the same time, cloud services have chimed with mobile computing so more services are consumed by users away from office desks and by more device types running on a variety of operating systems and platforms. These changes have all had an impact on users logging on to systems, leaving some users frustrated. That has led to several companies entering the space to address single sign-on (SSO) and identity management (IDM) challenges. Perhaps the best known of them is Okta, a San Francisco-based company founded in 2009 and led by McKinnon, a former head of engineering at Salesforce.com. We met recently in London to talk about this space. Unsurprisingly, veterans of the SSO/IDM scene are adapting products to accommodate cloud but McKinnon says that’s a hard chasm to cross and adds that Okta will also work for on-premise software too. Okta is designed to integrate with thousands of services and that, plus the fact that it’s a cloud service, helps reduce the time it takes to connect users to services in a secure way but without undue stress. McKinnon, a Californian in his late thirties, was brought up in the Bay Area and pretty well breathed in the IT trends the area has helped foster. He’s also one of many Salesforce veterans that start a company afterwards, but he says he is not using that company’s playbook as the template for Okta. Instead Okta sells to companies of all sizes but usually with 500-plus staff. Also, the company does not pursue the ‘freemium’ model adopted by many cloud companies where customers pay little or nothing at first but then spend more as services pick up viral momentum. 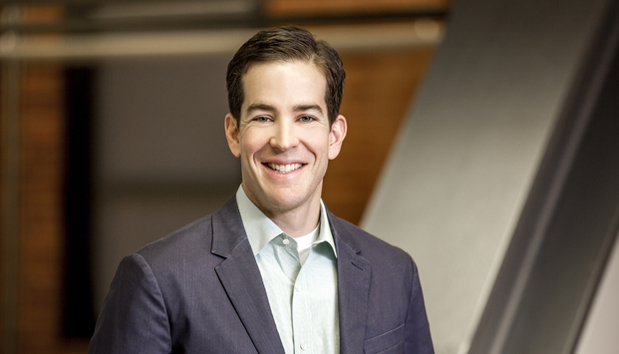 Okta’s more classical enterprise technology sales approach makes for a “slower burn”, says McKinnon, but Okta is still moving fast enough: annual staff growth at 120%, 60 million Okta logins, 300 new customer rollouts and 45 releases. The pot of gold at the end of the rainbow might be worth $3bn per year, he adds, but the broader Active Directory market could tot up to tens of billions of dollars. Okta works closely with some of the big spokespeople of the cloud generation from Box to Workday and ServiceNow and says his gang are the modern equivalents of Cisco, Sun and EMC when they battled the IBM mainframe and DB2. And he believes that, just as they were in client/server, stacks will be important to the future of Okta with deeper integration possible so that richer workflows around approvals for accessing services are possible. McKinnon believes that opportunity exists everywhere that “server huggers” do not rule the datacentre roost, and he counts his customers from London’s Gatwick Airport to large global brands like Coke, MGM Resorts and Delta Airlines. Anybody, in short, that is looking for new ways of doing things faster, better and with demonstrable ROI. Okta has raised about $80m in capital to grow and is shooting for an eventual IPO but McKinnon rejects the common notion that the vast reserves of money available to entrepreneurs today equates to a re-run of the first dotcom, ‘dot-bomb’ boom-and-bust cycle. McKinnon notes that “everybody laughed at Microsoft” when it took a 1.6%, $240m stake in Facebook that gave the latter a valuation of $15bn. Today with Facebook valued at north of $160bn, that stake is worth many times more. “The money’s the first thing,” McKinnon quips when asked what he looks for in an investor. That’s a joke of course as Okta has pulled in funds from several of the biggest names in tech VC and he lists operational experience, international distribution and patience among desired characteristics. Okta might need another $20m to realise its founder’s goals, McKinnon reckons, but the company is not in this for short term and neither, probably, is its founder who notched up eight years at PeopleSoft and then six at Salesforce before going it alone. If the competition to provide the locks for the front-door of enterprise computing turns into an endurance test, he’s ready. Read Martin's interview with OneLogin CEO, Thomas Pedersen, here.